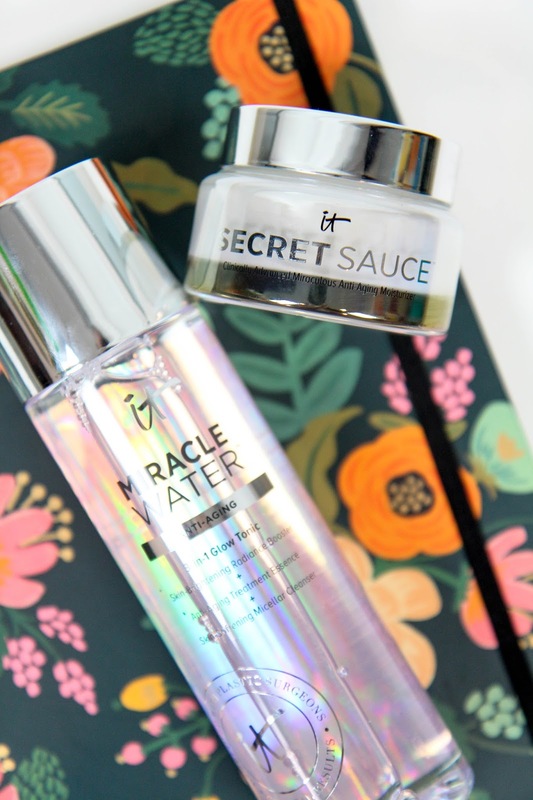 Prepare yourselves for a rave guys, because I'm downright obsessed with It Cosmetics Miracle Water* and Secret Sauce*. Here's why. I've been using The Body Shop's Vitamin E Toner for about four years now and never found anything quite like it until Miracle Water landed on my doorstep a month ago. It's basically the exact same product in all the right kind of ways. I use toner after my second cleanse to remove any leftover mascara or makeup that's being stubborn. Miracle Water adds moisture back into my skin right away after my cleansers make it a bit dry and sensitive. It sinks into the skin quickly and provides a great first layer for the rest of my skincare routine. I love how big the bottle is and I can easily decant some product into a smaller container for travel. Plus being able to see how much product I have left makes this slightly better than the Body Shop's offering. Miracle Water and I became fast friends. The Secret Sauce on the other hand had me a bit on guard. I know that the Secret Sauce is an absurd amount of money. Sure I'd spend that easily on a new traveler's notebook, but it's hard to choke down when it comes to a beauty product. So I seriously scrutinized this product over the last month of regular use. 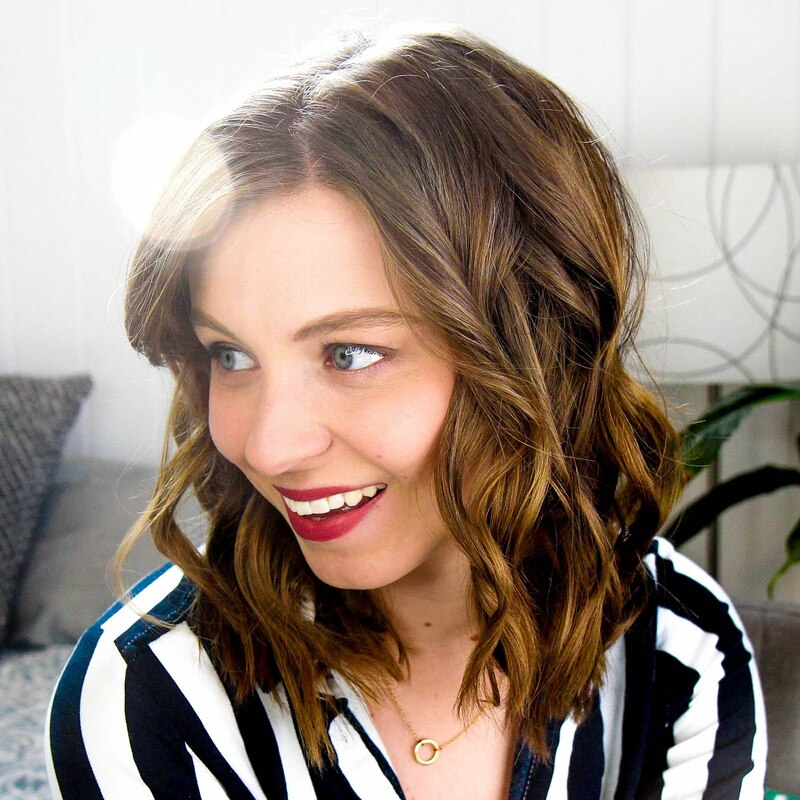 My skin feels firmer, brighter, and I find that I use less makeup to cover up redness and uneven skin tone. The product is rich and creamy and reminds me a lot of Origins Drink Up Intensive Overnight Mask in consistency and moisture bringing. I wake up with skin feeling plump and hydrated. Plus a little does go a long way since it's such a rich product that I've barely made a dent in the generous glass packaging. So yeah. I know it's expensive. But I'm already thinking of setting aside some money here and there to repurchase when I eventually run out. It's the best heavy cream I've found in ages that works like an overnight mask without needing a whole separate product. I'm convinced. I can't wait to see what other skincare products IT Cosmetics has up their sleeves.